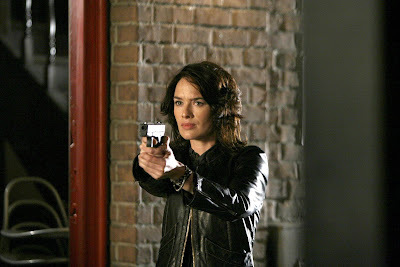 9 of the 13 ordered episodes of FOX's "Terminator: The Sarah Connor Chronicles" have been completed prior to the writers' strike and the final 2 air tonight. 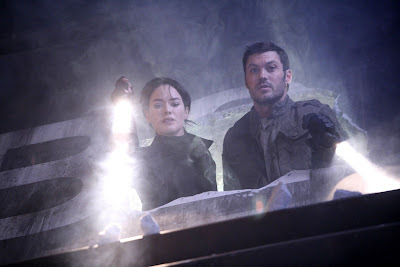 Here are stills and spoilers from the 2-hour season 1 finale. 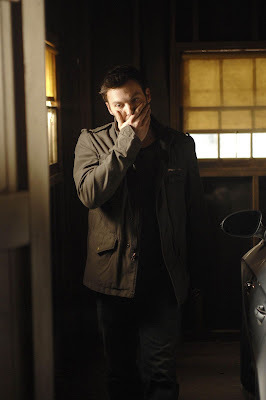 John (Thomas Dekker) defends Cameron (Summer Glau) against a damning accusation by Derek (Brian Austin Green), putting him and Derek at odds. 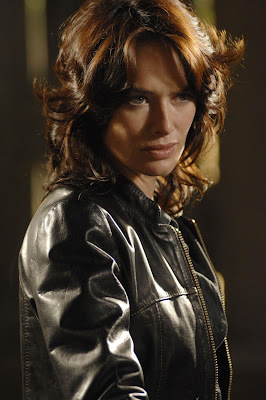 Meanwhile Sarah (Lena Headey) finds herself in a business transaction with a mysterious business man. 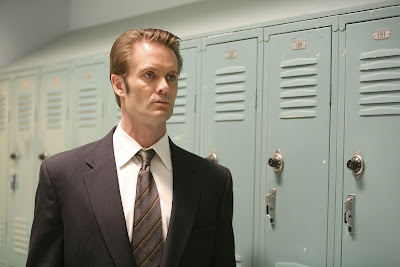 Meanwhile, Cromartie (Garret Dillahunt) closes in on John and Agent Ellison (Richard T.Jones) discovers a nemesis at the agency. 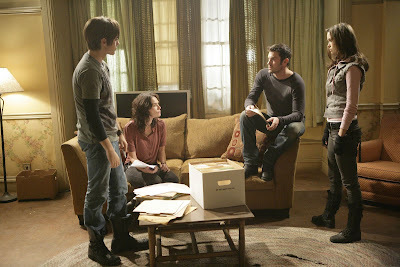 "Vick's Chip/What He Beheld" episodes of "Terminator: The Sarah Connor Chronicles" air tonight, 8:00-10:00pm, on FOX.